For other uses, see Ball Lightning (film) and Ball Lightning (novel). Various conflicting reports: hovers in the air, may float through walls or other solid objects without effect or may melt and burn them or explode. Until the 1960s, most scientists treated reports of ball lightning skeptically, despite numerous accounts from around the world. Laboratory experiments can produce effects that are visually similar to reports of ball lightning, but how these relate to the natural phenomenon remains unclear. Scientists have proposed many hypotheses about ball lightning over the centuries. Scientific data on natural ball-lightning remains scarce, owing to its infrequency and unpredictability. The presumption of its existence depends on reported public sightings, which have produced somewhat inconsistent findings. Owing to inconsistencies and to the lack of reliable data, the true nature of ball lightning remains unknown. The first ever optical spectrum of what appears to have been a ball-lightning event was published in January 2014, and included a video at high frame-rate. It has been suggested that ball lightning could be the source of the legends that describe luminous balls, such as the mythological Anchimayen from Argentinean and Chilean Mapuche culture. In a 1960 study, 5% of the population of the Earth reported having witnessed ball lightning. Another study analyzed reports of 10,000 cases. One early account was reported during the Great Thunderstorm at a church in Widecombe-in-the-Moor, Devon, in England, on 21 October 1638. Four people died and approximately 60 were injured when, during a severe storm, an 8-foot (2.4 m) ball of fire was described as striking and entering the church, nearly destroying it. Large stones from the church walls were hurled into the ground and through large wooden beams. The ball of fire allegedly smashed the pews and many windows, and filled the church with a foul sulphurous odour and dark, thick smoke. The ball of fire reportedly divided into two segments, one exiting through a window by smashing it open, the other disappearing somewhere inside the church. The explanation at the time, because of the fire and sulphur smell, was that the ball of fire was "the devil" or the "flames of hell". Later, some blamed the entire incident on two people who had been playing cards in the pew during the sermon, thereby incurring God's wrath. As we were coming thro’ the Gulf of Florida on 29th of August, a large ball of fire fell from the Element and split our mast in Ten Thousand Pieces, if it were possible; split our Main Beam, also Three Planks of the Side, Under Water, and Three of the Deck; killed one man, another had his Hand carried of [sic], and had it not been for the violent rains, our Sails would have been of a Blast of Fire. Admiral Chambers on board the Montague, 4 November 1749, was taking an observation just before noon...he observed a large ball of blue fire about three miles distant from them. They immediately lowered their topsails, but it came up so fast upon them, that, before they could raise the main tack, they observed the ball rise almost perpendicularly, and not above forty or fifty yards from the main chains when it went off with an explosion, as great as if a hundred cannons had been discharged at the same time, leaving behind it a strong sulphurous smell. By this explosion the main top-mast was shattered into pieces and the main mast went down to the keel. Five men were knocked down and one of them very bruised. Just before the explosion, the ball seemed to be the size of a large mill-stone. A 1753 report depicts ball lightning as having been lethal when professor Georg Richmann of Saint Petersburg, Russia, created a kite-flying apparatus similar to Benjamin Franklin's proposal a year earlier. Richmann was attending a meeting of the Academy of Sciences when he heard thunder and ran home with his engraver to capture the event for posterity. While the experiment was under way, ball lightning appeared and travelled down the string, struck Richmann's forehead and killed him. The ball had left a red spot on Richmann's forehead, his shoes were blown open, and his clothing was singed. His engraver was knocked unconscious. The door frame of the room was split and the door was torn from its hinges. An English journal reported that during an 1809 storm, three "balls of fire" appeared and "attacked" the British ship HMS Warren Hastings. The crew watched one ball descend, killing a man on deck and setting the main mast on fire. A crewman went out to retrieve the fallen body and was struck by a second ball, which knocked him back and left him with mild burns. A third man was killed by contact with the third ball. Crew members reported a persistent, sickening sulphur smell afterward. Ebenezer Cobham Brewer, in his 1864 US edition of A Guide to the Scientific Knowledge of Things Familiar, discussed "globular lightning". He describes it as slow-moving balls of fire or explosive gas that sometimes fall to the earth or run along the ground during a thunderstorm. He said that the balls sometimes split into smaller balls and may explode "like a cannon". Globular lightning seems to be particularly attracted to metals; thus it will seek the railings of balconies, or else water or gas pipes etc, It has no peculiar tint of its own but will appear of any colour as the case may be ... at Coethen in the Duchy of Anhalt it appeared green. M. Colon, Vice-President of the Geological Society of Paris, saw a ball of lightning descend slowly from the sky along the bark of a poplar tree; as soon as it touched the earth it bounced up again, and disappeared without exploding. On 10th of September 1845 a ball of lightning entered the kitchen of a house in the village of Salagnac in the valley of Correze. This ball rolled across without doing any harm to two women and a young man who were here; but on getting into an adjoining stable it exploded and killed a pig which happened to be shut up there, and which, knowing nothing about the wonders of thunder and lightning, dared to smell it in the most rude and unbecoming manner. The motion of such balls is far from being very rapid – they have even been observed occasionally to pause in their course, but they are not the less destructive for all that. A ball of lightning which entered the church of Stralsund, on exploding, projected a number of balls which exploded in their turn like shells. Tsar Nicholas II, the last Emperor of Russia, reported witnessing what he called "a fiery ball" while in the company of his grandfather, Tsar Alexander II: "Once my parents were away," recounted the Tsar, "and I was at the all-night vigil with my grandfather in the small church in Alexandria. During the service there was a powerful thunderstorm, streaks of lightning flashed one after the other, and it seemed as if the peals of thunder would shake even the church and the whole world to its foundations. Suddenly it became quite dark, a blast of wind from the open door blew out the flame of the candles which were lit in front of the iconostasis, there was a long clap of thunder, louder than before, and I suddenly saw a fiery ball flying from the window straight towards the head of the Emperor. The ball (it was of lightning) whirled around the floor, then passed the chandelier and flew out through the door into the park. My heart froze, I glanced at my grandfather – his face was completely calm. He crossed himself just as calmly as he had when the fiery ball had flown near us, and I felt that it was unseemly and not courageous to be frightened as I was. I felt that one had only to look at what was happening and believe in the mercy of God, as he, my grandfather, did. After the ball had passed through the whole church, and suddenly gone out through the door, I again looked at my grandfather. A faint smile was on his face, and he nodded his head at me. My panic disappeared, and from that time I had no more fear of storms." I was seated near the front of the passenger cabin of an all-metal airliner (Eastern Airlines Flight EA 539) on a late night flight from New York to Washington. The aircraft encountered an electrical storm during which it was enveloped in a sudden bright and loud electrical discharge (0005 h EST, March 19, 1963). Some seconds after this a glowing sphere a little more than 20 cm in diameter emerged from the pilot's cabin and passed down the aisle of the aircraft approximately 50 cm from me, maintaining the same height and course for the whole distance over which it could be observed. Willy Ley discussed a sighting in Paris on 5 July 1852 "for which sworn statements were filed with the French Academy of Science". During a thunderstorm, a tailor living next to Church of the Val-de-Grâce saw a ball the size of a human head come out of the fireplace. It flew around the room, reentered the fireplace, and exploded in and destroyed the top of the chimney. On 30 April 1877, a ball of lightning entered the Golden Temple at Amritsar, India, and exited through a side door. Several people observed the ball, and the incident is inscribed on the front wall of Darshani Deodhi. On 22 November 1894, an unusually prolonged instance of natural ball lightning occurred in Golden, Colorado, which suggests it could be artificially induced from the atmosphere. The Golden Globe newspaper reported, "A beautiful yet strange phenomenon was seen in this city on last Monday night. The wind was high and the air seemed to be full of electricity. In front of, above and around the new Hall of Engineering of the School of Mines, balls of fire played tag for half an hour, to the wonder and amazement of all who saw the display. In this building is situated the dynamos and electrical apparatus of perhaps the finest electrical plant of its size in the state. There was probably a visiting delegation from the clouds, to the captives of the dynamos on last Monday night, and they certainly had a fine visit and a roystering game of romp." On 22 May 1901 in the Kazakh city of Ouralsk in the Russian Empire (now Oral, Kazakhstan), "a dazzlingly brilliant ball of fire" descended gradually from the sky during a thunderstorm, then entered into a house where 21 people had taken refuge, "wreaked havoc with the apartment, broke through the wall into a stove in the adjoining room, smashed the stove-pipe, and carried it off with such violence that it was dashed against the opposite wall, and went out through the broken window". The incident was reported in the Bulletin of the Société astronomique de France the following year. In July 1907 the Cape Naturaliste Lighthouse in Western Australia was hit by ball lightning. Lighthouse keeper Patrick Baird was in the tower at the time and was knocked unconscious. His daughter Ethel recorded the event. Ley discussed another incident in Bischofswerda, Germany. On 29 April 1925 multiple witnesses saw a silent ball land near a mailman, move along a telephone wire to a school, knock back a teacher using a telephone, and bore perfectly round coin-sized holes through a glass pane. 700 feet of wire was melted, several telephone poles were damaged, an underground cable was broken, and several workmen were thrown to the ground but unhurt. An early fictional reference to ball lightning appears in a children's book set in the 19th century by Laura Ingalls Wilder. The books are considered historical fiction, but the author always insisted they were descriptive of actual events in her life. In Wilder's description, three separate balls of lightning appear during a winter blizzard near a cast iron stove in the family's kitchen. They are described as appearing near the stovepipe, then rolling across the floor, only to disappear as the mother (Caroline Ingalls) chases them with a willow-branch broom. Pilots in World War II described an unusual phenomenon for which ball lightning has been suggested as an explanation. The pilots saw small balls of light moving in strange trajectories, which came to be referred to as foo fighters. Submariners in the Second World War gave the most frequent and consistent accounts of small ball lightning in the confined submarine atmosphere. There are repeated accounts of inadvertent production of floating explosive balls when the battery banks were switched in or out, especially if misswitched or when the highly inductive electrical motors were misconnected or disconnected. An attempt later to duplicate those balls with a surplus submarine battery resulted in several failures and an explosion. On 6 August 1944, a ball of lightning went through a closed window in Uppsala, Sweden, leaving a circular hole about 5 centimetres (2.0 in) in diameter. The incident was witnessed by residents in the area, and was recorded by a lightning strike tracking system on the Division for Electricity and Lightning Research at Uppsala University. In 1954, Domokos Tar, a physicist, observed a lightning strike during a heavy thunderstorm. A single bush was flattened in the wind. Some seconds later a speedy rotating ring (cylinder) appeared in the shape of a wreath. The ring was about 5 metres (16 ft) away from the lightning impact point. The ring's plane was perpendicular to the ground and in full view of the observer. The outer/inner diameters were about 60 and 30 centimetres (24 and 12 in) respectively. The ring rotated quickly about 80 cm (31 in) above the ground. It was composed of wet leaves and dirt and rotated counter clockwise. After seconds the ring became self-illuminated turning increasingly red, then orange, yellow and finally white. The ring (cylinder) at the outside was similar to a sparkler. In spite of the rain, many electrical high voltage discharges could be seen. After some seconds, the ring suddenly disappeared and simultaneously the ball lightning appeared in the middle. Initially the ball had only one tail and it rotated in the same direction as the ring. It was homogeneous and showed no transparency. In the first moment the ball hovered motionless, but then began to move forward on the same line with a constant speed of about 1 metre per second (3.3 ft/s). It was stable and travelled at the same height in spite of the heavy rain and strong wind. After moving about 10 m (33 ft) it suddenly disappeared without any noise. In 2005, an incident occurred in Guernsey, where an apparent lightning strike on an aircraft led to multiple fireball sightings on the ground. On 10 July 2011, during a powerful thunderstorm, a ball of light with a two-metre (6 ft 7 in) tail went through a window to the control room of local emergency services in Liberec, Czech Republic. The ball bounced from window to ceiling, then to the floor and back, where it rolled along it for two or three metres. It then dropped to the floor and disappeared. The staff present in the control room were frightened, smelled electricity and burned cables and thought something was burning. The computers froze (not crashed) and all communications equipment was knocked out for the night until restored by technicians. Aside from damages caused by disrupting equipment, only one computer monitor was destroyed. Descriptions of ball lightning vary widely. It has been described as moving up and down, sideways or in unpredictable trajectories, hovering and moving with or against the wind; attracted to, unaffected by, or repelled from buildings, people, cars and other objects. Some accounts describe it as moving through solid masses of wood or metal without effect, while others describe it as destructive and melting or burning those substances. Its appearance has also been linked to power lines, altitudes of 1,000 feet (300 m) and higher, and during thunderstorms and calm weather. 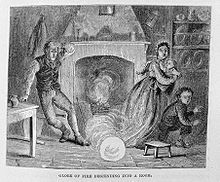 Ball lightning has been described as transparent, translucent, multicolored, evenly lit, radiating flames, filaments or sparks, with shapes that vary between spheres, ovals, tear-drops, rods, or disks. Ball lightning is often erroneously identified as St. Elmo's fire. They are separate and distinct phenomena. The balls have been reported to disperse in many different ways, such as suddenly vanishing, gradually dissipating, absorption into an object, "popping," exploding loudly, or even exploding with force, which is sometimes reported as damaging. Accounts also vary on their alleged danger to humans, from lethal to harmless. Their diameters range from 1–100 centimetres (0.4–40 in), most commonly 10–20 cm (3.9–7.9 in). A wide range of colours has been observed, red, orange, and yellow being the most common. They tend to move, most often in a horizontal direction at a few metres per second, but may also move vertically, remain stationary or wander erratically. In January 2014, scientists from Northwest Normal University in Lanzhou, China, published the results of recordings made in July 2012 of the optical spectrum of what was thought to be natural ball lightning made by chance during the study of ordinary cloud–ground lightning on the Tibetan Plateau. At a distance of 900 m (3,000 ft), a total of 1.64 seconds of digital video of the ball lightning and its spectrum was made, from the formation of the ball lightning after the ordinary lightning struck the ground, up to the optical decay of the phenomenon. Additional video was recorded by a high-speed (3000 frames/sec) camera, which captured only the last 0.78 seconds of the event, due to its limited recording capacity. Both cameras were equipped with slitless spectrographs. The researchers detected emission lines of neutral atomic silicon, calcium, iron, nitrogen, and oxygen—in contrast with mainly ionized nitrogen emission lines in the spectrum of the parent lightning. The ball lightning traveled horizontally across the video frame at an average speed equivalent of 8.6 m/s (28 ft/s). It had a diameter of 5 m (16 ft) and covered a distance of about 15 m (49 ft) within those 1.64 s.
Oscillations in the light intensity and in the oxygen and nitrogen emission at a frequency of 100 hertz, possibly caused by the electromagnetic field of the 50 Hz high-voltage power transmission line in the vicinity, were observed. From the spectrum, the temperature of the ball lightning was assessed as being lower than the temperature of the parent lightning (<15,000–30,000 K (14,700–29,700 °C; 26,500–53,500 °F)). The observed data are consistent with vaporization of soil as well as with ball lightning's sensitivity to electric fields. Scientists have long attempted to produce ball lightning in laboratory experiments. While some experiments have produced effects that are visually similar to reports of natural ball lightning, it has not yet been determined whether there is any relation. Nikola Tesla reportedly could artificially produce 1.5-inch (38 mm) balls and conducted some demonstrations of his ability, but he was truly interested in higher voltages and powers, and remote transmission of power, so the balls he made were just a curiosity. The International Committee on Ball Lightning (ICBL) held regular symposia on the subject. A related group uses the generic name "Unconventional Plasmas". The last ICBL symposium was tentatively scheduled for July 2012 in San Marcos, Texas but was cancelled due to a lack of submitted abstracts. Ohtsuki and Ofuruton described producing “plasma fireballs” by microwave interference within an air-filled cylindrical cavity fed by a rectangular waveguide using a 2.45 GHz, 5 kW (maximum power) microwave oscillator. Some scientific groups, including the Max Planck Institute, have reportedly produced a ball lightning-type effect by discharging a high-voltage capacitor in a tank of water. Many modern experiments involve using a microwave oven to produce small rising glowing balls, often referred to as plasma balls. Generally, the experiments are conducted by placing a lit or recently extinguished match or other small object in a microwave oven. The burnt portion of the object flares up into a large ball of fire, while "plasma balls" float near the oven chamber ceiling. Some experiments describe covering the match with an inverted glass jar, which contains both the flame and the balls so that they don't damage the chamber walls. (A glass jar, however, eventually explodes rather than simply causing charred paint or melting metal, as happens to the inside of a microwave.) Experiments by Eli Jerby and Vladimir Dikhtyar in Israel revealed that microwave plasma balls are made up of nanoparticles with an average radius of 25 nanometres (9.8×10−7 in). The Israeli team demonstrated the phenomenon with copper, salts, water and carbon. Experiments in 2007 involved shocking silicon wafers with electricity, which vaporizes the silicon and induces oxidation in the vapors. The visual effect can be described as small glowing, sparkling orbs that roll around a surface. Two Brazilian scientists, Antonio Pavão and Gerson Paiva of the Federal University of Pernambuco have reportedly consistently made small long-lasting balls using this method. These experiments stemmed from the theory that ball lightning is actually oxidized silicon vapors (see vaporized silicon hypothesis, below). There is at present no widely accepted explanation for ball lightning. Several hypotheses have been advanced since the phenomenon was brought into the scientific realm by the English physician and electrical researcher William Snow Harris in 1843, and French Academy scientist François Arago in 1855. This hypothesis suggests that ball lightning consists of vaporized silicon burning through oxidation. Lightning striking Earth's soil could vaporize the silica contained within it, and somehow separate the oxygen from the silicon dioxide, turning it into pure silicon vapor. As it cools, the silicon could condense into a floating aerosol, bound by its charge, glowing due to the heat of silicon recombining with oxygen. 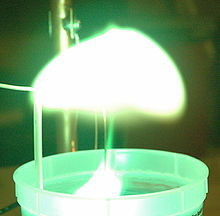 An experimental investigation of this effect, published in 2007, reported producing "luminous balls with lifetime in the order of seconds" by evaporating pure silicon with an electric arc. Videos and spectrographs of this experiment have been made available. This hypothesis got significant supportive data in 2014, when the first ever recorded spectra of natural ball lightning were published. The theorized forms of silicon storage in soil include nanoparticles of Si, SiO, and SiC. Matthew Francis has dubbed this the "dirt clod hypothesis", in which the spectrum of ball lightning shows that it shares chemistry with soil. In this model ball lightning is assumed to have a solid, positively charged core. According to this underlying assumption, the core is surrounded by a thin electron layer with a charge nearly equal in magnitude to that of the core. A vacuum exists between the core and the electron layer containing an intense electromagnetic (EM) field, which is reflected and guided by the electron layer. The microwave EM field applies a ponderomotive force (radiation pressure) to the electrons preventing them from falling into the core. Pyotr Kapitsa proposed that ball lightning is a glow discharge driven by microwave radiation that is guided to the ball along lines of ionized air from lightning clouds where it is produced. The ball serves as a resonant microwave cavity, automatically adjusting its radius to the wavelength of the microwave radiation so that resonance is maintained. The Handel Maser-Soliton theory of ball lightning hypothesizes that the energy source generating the ball lightning is a large (several cubic kilometers) atmospheric maser. The ball lightning appears as a plasma caviton at the antinodal plane of the microwave radiation from the maser. Julio Rubinstein, David Finkelstein, and James R. Powell proposed that ball lightning is a detached St. Elmo's fire (1964–1970). St. Elmo's fire arises when a sharp conductor, such as a ship's mast, amplifies the atmospheric electric field to breakdown. For a globe the amplification factor is 3. A free ball of ionized[further explanation needed] air can amplify the ambient field this much by its own conductivity. When this maintains the ionization, the ball is then a soliton in the flow of atmospheric electricity. Powell's kinetic theory calculation found that the ball size is set by the second Townsend coefficient (the mean free path of conduction electrons) near breakdown. Wandering glow discharges are found to occur within certain industrial microwave ovens and continue to glow for several seconds after power is shut off. Arcs drawn from high-power low-voltage microwave generators also are found to exhibit afterglow. 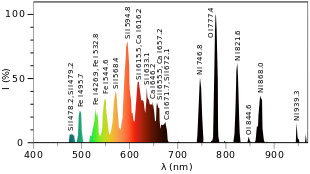 Powell measured their spectra, and found that the after-glow comes mostly from metastable NO ions, which are long-lived at low temperatures. It occurred in air and in nitrous oxide, which possess such metastable ions, and not in atmospheres of argon, carbon dioxide, or helium, which do not. The soliton model of a ball lightning was further developed. It was suggested that a ball lightning is based on spherically symmetric nonlinear oscillations of charged particles in plasma – the analogue of a spatial Langmuir soliton. These oscillations were described in both classical and quantum approaches. It was found that the most intense plasma oscillations occur in the central regions of a ball lightning. It is suggested that bound states of radially oscillating charged particles with oppositely oriented spins – the analogue of Cooper pairs – can appear inside a ball lightning. This phenomenon, in its turn, can lead to a superconducting phase in a ball lightning. The idea of the superconductivity in a ball lightning was considered earlier. The possibility of the existence of a ball lightning with a composite core was also discussed in this model. Physicist Domokos Tar suggested the following theory for ball lightning formation based on his ball lightning observation. Lightning strikes perpendicular to the ground, and thunder follows immediately at supersonic speed in the form of shock waves that form an invisible aerodynamic turbulence ring horizontal to the ground. Around the ring, over and under pressure systems rotate the vortex around a circular axis in the cross section of the torus. At the same time, the ring expands concentrically parallel to the ground at low speed. In an open space, the vortex fades and finally disappears. If the vortex's expansion is obstructed, and symmetry is broken, the vortex breaks into cyclical form. Still invisible, and due to the central and surface tension-forces, it shrinks to an intermediate state of a cylinder, and finally into a ball. The resulting transformation subsequently becomes visible once the energy is concentrated into the final spherical stage. The ball lightning has the same rotational axis as the rotating cylinder. As the vortex has a much smaller vector of energy compared to the overall energy of the reactant sonic shock wave, its vector is likely fractional to the overall reaction. The vortex, during contraction, gives the majority of its energy to form the ball lightning, achieving nominal energy loss. In some observations, the ball lightning appeared to have an extremely high energy concentration but this phenomenon hasn't been adequately verified. The present theory concerns only the low energy lightning ball form, with centripetal forces and surface tension. The visibility of the ball lightning can be associated with electroluminescence, a direct result of the triboelectric effect from materials within the area of the reaction. Static discharge from the cylindrical stage imply the existence of contact electrification within the object. The direction of the discharges indicate the cylinder's rotation, and resulting rotational axis of the ball lightning in accordance to the law of laminar flow. If the ball came from the channel, it would have rotated in the opposite direction. One theory that may account for the wide spectrum of observational evidence is the idea of combustion inside the low-velocity region of spherical vortex breakdown of a natural vortex[vague] (e.g., the 'Hill's spherical vortex'). Oleg Meshcheryakov suggests that ball lightning is made of composite nano or submicrometre particles—each particle constituting a battery. A surface discharge shorts these batteries, causing a current that forms the ball. His model is described as an aerosol model that explains all the observable properties and processes of ball lightning. Another hypothesis is that some ball lightning is the passage of microscopic primordial black holes through the Earth's atmosphere. This possibility was mentioned parenthetically by Leo Vuyk in 1992 in a patent application and a second patent application in 1996 by Leendert Vuyk. The first detailed scientific analysis was published by Mario Rabinowitz in Astrophysics and Space Science journal in 1999. The declassified Project Condign report concludes that buoyant charged plasma formations similar to ball lightning are formed by novel physical, electrical, and magnetic phenomena, and that these charged plasmas are capable of being transported at enormous speeds under the influence and balance of electrical charges in the atmosphere. These plasmas appear to originate due to more than one set of weather and electrically charged conditions, the scientific rationale for which is incomplete or not fully understood. One suggestion is that meteors breaking up in the atmosphere and forming charged plasmas as opposed to burning completely or impacting as meteorites could explain some instances of the phenomena, in addition to other unknown atmospheric events. Cooray and Cooray (2008) stated that the features of hallucinations experienced by patients having epileptic seizures in the occipital lobe are similar to the observed features of ball lightning. The study also showed that the rapidly changing magnetic field of a close lightning flash is strong enough to excite the neurons in the brain. This strengthens the possibility of lightning-induced seizure in the occipital lobe of a person close to a lightning strike, establishing the connection between epileptic hallucination mimicking ball lightning and thunderstorms. Theoretical calculations from University of Innsbruck researchers suggest that the magnetic fields involved in certain types of lightning strikes could potentially induce visual hallucinations resembling ball lightning. Such fields, which are found within close distances to a point in which multiple lightning strikes have occurred over a few seconds, can directly cause the neurons in the visual cortex to fire, resulting in magnetophosphenes (magnetically induced visual hallucinations). Seward proposes that ball lightning is a spinning plasma toroid or ring. He built a lab that produces lightning level arcs, and by modifying the conditions he produced bright, small balls that mimic ball lightning and persist in atmosphere after the arc ends. Using a high speed camera he was able to show that the bright balls were spinning plasma toroids. Chen was able to derive the physics and found that there is a class of plasma toroids that remain stable with or without an external magnetic containment, a new plasma configuration unlike anything reported elsewhere. Seward published images of the results of his experiments, along with his method. Included is a report by a farmer of observing a ball lightning event forming in a kitchen and the effects it caused as it moved around the kitchen. This is the only eye witness account of ball lightning forming, then staying in one area, then ending that the author has heard of. Manykin et al. have suggested atmospheric Rydberg matter as an explanation of ball lightning phenomena. Rydberg matter is a condensed form of highly excited atoms in many aspects similar to electron-hole droplets in semiconductors. However, in contrast to electron-hole droplets, Rydberg matter has an extended life-time—as long as hours. This condensed excited state of matter is supported by experiments, mainly of a group led by Holmlid. It is similar to a liquid or solid state of matter with extremely low (gas-like) density. Lumps of atmospheric Rydberg matter can result from condensation of highly excited atoms that form by atmospheric electrical phenomena, mainly due to linear lightning. Stimulated decay of Rydberg matter clouds can, however, take the form of an avalanche, and so appear as an explosion. Nikola Tesla (1899 December) theorized that the balls were formed inside a gas that was highly rarefied. On the formation "A single powerful streamer, breaking out from a well insulated terminal, may easily convey a current of several hundred amperes! No wonder then, that a small mass of air is exploded with an effect similar to that of a bombshell..." "..let us now assume that such a powerful streamer or spark discharge, in its passage through the air, happens to come upon a vacuous sphere or space formed in the manner described. This space, containing gas highly rarefied, may be just in the act of contracting, at any rate, the intense current, passing through the rarefied gas suddenly raises the same to an extremely high temperature, all the higher as the mass of the gas is very small. But although the gas may have been brought to vivid incandescence, yet its pressure may not be very great. If, upon the sudden passage of the discharge, the pressure of the heated air exceeds that of the air around, the luminous ball or space will expand, but most generally it may not do so. For assume, for instance, that the air in the vacuous space was at one hundredth say, of its normal pressure, which might well be the case, then, since the pressure in the space would be as the absolute temperature of the gas within, it would require a temperature which seems scarcely realizable, to raise the pressure of the rarefied gas to the normal air pressure. "But how is it when the second discharge and possibly many subsequent ones pass through the rarefied gas? These discharges find the gas already expanded and in a condition to take up much more energy by reason of the properties it acquires through rarefaction. Evidently, the energy consumption in any given part of the path of the streamer or spark discharge is, under otherwise the same conditions, proportionate to the resistance of that part of the path; and since, after the gas has once broken down, the resistance of other parts of the path of the discharge is much smaller than that including the vacuous space, a comparatively very great energy consumption must necessarily take place in this portion of the current path." On the duration "Here, then, is a mass of gas heated to high incandescence suddenly but not, as before, in a condition to give up heat rapidly. It can not cool down rapidly by expansion, as when the vacuous space was being formed, nor can it give off much heat by convection. To some extent even radiation is diminished. On the contrary, despite the high temperature, it is compelled to confinement in a limited space which is continuously shrinking instead of expanding. All these causes cooperate in maintaining, for a comparatively long period of time, the gas confined in this space at an elevated temperature, in a state of high incandescence, in the case under consideration. Thus it is that the phenomenon of the ball is produced and the same made to persist for a perceptible fraction or interval of time." On the movement "As might be expected, the incandescent mass of gas in a medium violently agitated, could not possibly remain in the same place but will be, as a rule, carried, in some direction or other, by the currents of the air. Upon little reflection, however, we are led to the conclusion that the ball or incandescent mass, of whatever shape it be, will always move from the place where an explosion occurred first, to some place where such an explosion occurred later. In fact, all observers concur in the opinion that such a fireball moves slowly." On the explosion "If we interpret the nature of this wonderful phenomenon in this manner, we shall find it quite natural that when such a ball encounters in its course an object, as a piece of organic matter for instance, it will raise the same to a high temperature, thus liberating suddenly a great quantity of gas by evaporating or volatilizing the substance with the result of being itself dissipated or exploded. Obviously, also, it may be expected that the conducting mass of the ball originated as described, and moving through a highly insulating medium, will be likely to be highly electrified, which accords with many of the observations made." Spinning electric dipole hypothesis. A 1976 article by V. G. Endean postulated that ball lightning could be described as an electric field vector spinning in the microwave frequency region. Electrostatic Leyden jar models. Stanley Singer discussed (1971) this type of hypothesis and suggested that the electrical recombination time would be too short for the ball lightning lifetimes often reported. Smirnov proposed (1987) a fractal aerogel hypothesis. V.P. Torchigin proposed (2003) considering ball lightning as a form of self-confined intense light. M.I. Zelikin proposed (2006) an explanation (with a rigorous mathematical foundation) based on the hypothesis of plasma superconductivity (see also). H.C. Wu proposed (2016) that ball lightning arises when a "relativistic electron bunch" forming at the tip of a lightning stroke excites "intense microwave radiation" under certain conditions. As the microwaves ionize the surrounding air, their associated pressure may then evacuate the resulting plasma to form a bubble that "stably traps the radiation". ^ a b J. B[rooking] R[owe], ed. (1905). The Two Widecombe Tracts, 1638[,] giving a Contemporary Account of the great Storm, reprinted with an Introduction. Exeter: James G Commin. Retrieved 29 June 2013. ^ a b Day, Jeremiah (January 1813). "A view of the theories which have been proposed to explain the origin of meteoric stones". The General Repository and Review. 3 (1): 156–157. Retrieved 29 June 2013. ^ How Stuff Works entry. Retrieved 21 January 2014. ^ Letzter, Rafi (6 March 2018). "The 'Skyrmion' May Have Solved the Mystery of Ball Lightning". Live Science. Retrieved 20 January 2019. ^ Manykin, E. A; Zelener, B. B; Zelener, B. V (2010). "Thermodynamic and kinetic properties of nonideal Rydberg matter". Soviet Journal of Experimental and Theoretical Physics Letters. 92 (9): 630. doi:10.1134/S0021364010210125. ^ Anna Salleh (20 March 2008). "Ball lightning bamboozles physicist". 35.2772;149.1292: Abc.net.au. Retrieved 21 January 2014. ^ a b c d Cen, Jianyong; Yuan, Ping; Xue, Simin (17 January 2014). "Observation of the Optical and Spectral Characteristics of Ball Lightning". Physical Review Letters. 112 (3): 035001. Bibcode:2014PhRvL.112c5001C. doi:10.1103/PhysRevLett.112.035001. PMID 24484145. Retrieved 19 January 2014. ^ Slezak, Michael (16 January 2014). "Natural ball lightning probed for the first time". New Scientist. Retrieved 22 January 2014. ^ a b Anon. "Ask the experts". Scientific American. Retrieved 4 April 2007. ^ McNally, J. R. (1960). "Preliminary Report on Ball Lightning". Proceedings of the Second Annual Meeting of the Division of Plasma Physics of the American Physical Society (Paper J-15 ed.). Gatlinburg. pp. 1–25. ^ Grigoriev, A. I. (1988). Y. H. Ohtsuki (ed.). "Statistical Analysis of the Ball Lightning Properties". Science of Ball Lightning: 88–134. ^ Anon. "Foreign Affairs: Bristol 17 December". Weekly Journal or British Gazetteer. 24 December 1726. ^ Clarke, Ronald W. (1983). Benjamin Franklin, A Biography. Random House. p. 87. ISBN 978-1-84212-272-3. Archived from the original on 12 January 2012. ^ Simons, Paul (17 February 2009). "Weather Eye Charles Darwin the meteorologist". The Times. London. Retrieved 16 April 2010. ^ Brewer, Ebenezer Cobham (1864). A Guide to the Scientific Knowledge of Things Familiar. pp. 13–14. Retrieved 22 January 2014. ^ de Fonvielle, Wilfrid (1875). "Chapter X Globular lightning". Thunder and lightning (full text). translated by T L Phipson. pp. 32–39. ISBN 978-1-142-61255-9. ^ Anon (24 December 1867). "Globular lightning". The Leeds mercury. Leeds, UK. ^ "Tsar-Martyr Nicholas II and His Family". Orthodox.net. Archived from the original on 17 June 2009. Retrieved 13 July 2009. ^ There is no present-day Lake Pasquaney in New Hampshire, United States. New Hampshire's Newfound Lake has a Camp Pasquaney. However, part of the lake is known as Pasquaney Bay. ^ Crowley, Aleister (5 December 1989). "Chp. 83". The Confessions of Aleister Crowley: An Autobiography. Penguin. ISBN 978-0-14-019189-9. ^ Jennison, R. C. (1969). "Ball Lightning". Nature. 224 (5222): 895. Bibcode:1969Natur.224..895J. doi:10.1038/224895a0. ^ a b c d e f Ley, Willy (October 1960). "The Moon Worm". For Your Information. Galaxy Science Fiction. pp. 56–71. ^ "Miracle saved panth". Sikhnet.com. 21 December 2009. Retrieved 21 January 2014. ^ Golden Globe, 24 November 1894. ^ "The Cape Naturaliste Lighthouse". Lighthouses of Western Australia. Lighthouses of Australia Inc. Retrieved 13 July 2009. ^ Wilder, Laura Ingalls (1937). On the Banks of Plum Creek. Harper Trophy. ISBN 978-0-06-440005-3. ^ Getline, Meryl (17 October 2005). "Playing with (St. Elmo's) fire". USA Today. ^ "Ball lightning – and the charge sheath vortex". Peter-thomson.co.uk. Retrieved 13 July 2009. ^ Larsson, Anders (23 April 2002). "Ett fenomen som gäckar vetenskapen" (in Swedish). Uppsala University. Retrieved 19 November 2007. ^ a b "Fizikai Szemle 2004/10". Kfki.hu. Retrieved 21 January 2014. ^ Domokos Tar (2009). "Observation of Lightning Ball (Ball Lightning): A new phenomenological description of the phenomenon". Proceedings of the 9th International Symposium on Ball Lightning, Aug. Eindhoven. 0910 (2006): 783. arXiv:0910.0783. Bibcode:2009arXiv0910.0783T. ^ a b Tar, Domokos (20 July 2010). "Lightning Ball (Ball Lightning) Created by Thunder, Shock-Wave". arXiv:1007.3348 [physics.gen-ph]. ^ Domokos Tar (2009). "New Revelation of Lightning Ball Observation and Proposal for a Nuclear Reactor Fusion Experiment". Proceedings 10th International Symposium on Ball Lightning (ISBL-08), July 7–12 Kaliningrad, Russia, Pp. 135–141, Eds. Vladimir L. Bychkov & Anatoly I. Nikitin. 0910 (8): 7–12. arXiv:0910.2089. Bibcode:2009arXiv0910.2089T. ^ "Source (in Czech)". Zpravy.idnes.cz. Retrieved 21 January 2014. ^ "The Aviation Herald". avherald.com. ^ "BL_Info_10". Ernmphotography.com. Archived from the original on 22 December 2008. Retrieved 13 July 2009. ^ "Unusual Phenomea Reports: Ball Lightning". Amasci.com. Retrieved 13 July 2009. ^ Charman, Neil (14 December 1972). "The enigma of ball Lightning". New Scientist. 56 (824): 632–635. ^ a b c Ball, Philip (17 January 2014). "Focus: First Spectrum of Ball Lightning". Focus. 7: 5. Bibcode:2014PhyOJ...7....5B. doi:10.1103/Physics.7.5. Retrieved 19 January 2014. ^ "The New Wizard of the West". Homepage.ntlworld.com. Retrieved 13 July 2009. ^ Anon (2008). "Tenth international syposium on ball lightning/ International symposium III on unconventional plasmas". ICBL. Retrieved 10 May 2010. ^ "ISBL-12". Archived from the original on 4 June 2012. Retrieved 4 June 2012. ^ Ohtsuki, Y. H.; H. Ofuruton (1991). "Plasma fireballs formed by microwave interference in air". Nature. 350 (6314): 139–141. Bibcode:1991Natur.350..139O. doi:10.1038/350139a0. ^ Ohtsuki, Y. H.; H. Ofuruton (1991). "Plasma fireballs formed by microwave interference in air (Corrections)". Nature. 353 (6347): 868. Bibcode:1991Natur.353..868O. doi:10.1038/353868a0. ^ "'Ball lightning' created in German laboratory | COSMOS magazine". COSMOS magazine. 7 June 2006. Retrieved 13 July 2009. ^ "How to make a Stable Plasmoid ( Ball Lightning ) with the GMR (Graphite Microwave Resonator) by Jean-Louis Naudin". Jlnlabs.online.fr. 22 December 2005. Archived from the original on 26 June 2009. Retrieved 13 July 2009. ^ "Creating the 4th state of matter with microwaves by Halina Stanley". scienceinschool.org. 13 August 2009. Archived from the original on 31 October 2009. Retrieved 6 October 2009. ^ "Universidade Federal de Pernambuco". Ufpe.br. Archived from the original on 21 June 2009. Retrieved 13 July 2009. ^ "Pesquisadores da UFPE geram, em laboratório, fenômeno atmosférico conhecido como bolas luminosas". Ufpe.br. 16 January 2007. Archived from the original on 20 December 2008. Retrieved 13 July 2009. ^ "Ball Lightning Mystery Solved? Electrical Phenomenon Created in Lab". News.nationalgeographic.com. 21 November 2005. Retrieved 13 July 2009. ^ Snow Harris, William (2008). "Section I". On the nature of thunderstorms (originally published in 1843) (Reprint ed.). Bastian Books. pp. 34–43. ISBN 978-0-554-87861-4. ^ Paiva, Gerson Silva; Antonio Carlos Pavão; Elder Alpes de Vasconcelos; Odim Mendes, Jr.; Eronides Felisberto da Silva, Jr. (2007). "Production of Ball-Lightning-Like Luminous Balls by Electrical Discharges in Silicon". Phys. Rev. Lett. 98 (4): 048501. Bibcode:2007PhRvL..98d8501P. doi:10.1103/PhysRevLett.98.048501. PMID 17358820. ^ "Lightning balls created in the lab". New Scientist. 10 January 2007. A more down-to-earth theory, proposed by John Abrahamson and James Dinniss at the University of Canterbury in Christchurch, New Zealand, is that ball lightning forms when lightning strikes soil, turning any silica in the soil into pure silicon vapour. As the vapour cools, the silicon condenses into a floating aerosol bound into a ball by charges that gather on its surface, and it glows with the heat of silicon recombining with oxygen. ^ "Ball Lightning Mystery Solved? Electrical Phenomenon Created in Lab". National Geographic News. 22 January 2007. ^ Slezak, Michael. "Natural ball lightning probed for the first time". New Scientist. Retrieved 17 January 2014. ^ Abrahamson, John; Dinniss, James (2000). "Ball lightning caused by oxidation of nanoparticle networks from normal lightning strikes on soil". Nature. 403 (6769): 519–21. Bibcode:2000Natur.403..519A. doi:10.1038/35000525. PMID 10676954. ^ Matthew Francis (1/22/2014, 11:30 AM) Ars Technica "The dirty secret behind ball lightning is dirt": First spectrum of ball lightning shows it shares chemistry with soil. ^ Muldrew, D. B. (1990). "The Physical Nature of Ball Lightning". Geophysical Research Letters. 17 (12): 2277–2280. Bibcode:1990GeoRL..17.2277M. doi:10.1029/GL017i012p02277. ^ Muldrew, D. B. (2010). "Solid charged-core model of ball lightning". Annales Geophysicae. 28 (1): 223–2010. Bibcode:2010AnGeo..28..223M. doi:10.5194/angeo-28-223-2010. ^ Капица, П. Л. (1955). О природе шаровой молнии [On the nature of ball lightning]. Докл. Акад. наук СССР (in Russian). 101: 245. ^ Kapitsa, Peter L. (1955). "The Nature of Ball Lightning". In Donald J. Ritchie (ed.). Ball Lightning: A Collection of Soviet Research in English Translation (1961 ed.). Consultants Bureau, New York. pp. 11–16. OCLC 717403. ^ Handel, Peter H.; Jean-François Leitner (1994). "Development of the maser-caviton ball lightning theory". J. Geophys. Res. 99 (D5): 10689. Bibcode:1994JGR....9910689H. doi:10.1029/93JD01021. ^ "Rubinstein, J". Inspire HEP. Retrieved 6 March 2017. ^ a b Dvornikov, Maxim; Dvornikov, Sergey (2007). Gerard, F. (ed.). Electron gas oscillations in plasma. Theory and applications. Advances in Plasma Physics Research. 5. pp. 197–212. arXiv:physics/0306157. Bibcode:2003physics...6157D. ISBN 978-1-59033-928-2. Archived from the original on 8 December 2015. Retrieved 20 December 2018. ^ a b Dvornikov, Maxim (2010). "Formation of bound states of electrons in spherically symmetric oscillations of plasma". Physica Scripta. 81 (5): 055502. arXiv:1002.0764. Bibcode:2010PhyS...81e5502D. doi:10.1088/0031-8949/81/05/055502. ^ a b Dvornikov, Maxim (1 December 2011). "Axially and spherically symmetric solitons in warm plasma". Journal of Plasma Physics. 77 (6): 749–764. arXiv:1010.0701. Bibcode:2011JPlPh..77..749D. doi:10.1017/S002237781100016X. ISSN 1469-7807. ^ Davydova, T. A.; Yakimenko, A. I.; Zaliznyak, Yu. A. (28 February 2005). "Stable spatial Langmuir solitons". Physics Letters A. 336 (1): 46–52. arXiv:physics/0408023. Bibcode:2005PhLA..336...46D. doi:10.1016/j.physleta.2004.11.063. ^ a b c Dvornikov, Maxim (8 February 2012). "Effective attraction between oscillating electrons in a plasmoid via acoustic wave exchange". Proc. R. Soc. A. 468 (2138): 415–428. arXiv:1102.0944. Bibcode:2012RSPSA.468..415D. doi:10.1098/rspa.2011.0276. ISSN 1364-5021. ^ a b Dvornikov, Maxim (2013). "Pairing of charged particles in a quantum plasmoid". Journal of Physics A: Mathematical and Theoretical. 46 (4): 045501. arXiv:1208.2208. Bibcode:2013JPhA...46d5501D. doi:10.1088/1751-8113/46/4/045501. ^ a b Dijkhuis, G. C. (13 March 1980). "A model for ball lightning". Nature. 284 (5752): 150–151. Bibcode:1980Natur.284..150D. doi:10.1038/284150a0. ^ a b Zelikin, M. I. (2008). "Superconductivity of plasma and fireballs". Journal of Mathematical Sciences. 151 (6): 3473–3496. doi:10.1007/s10958-008-9047-x. ^ Dvornikov, Maxim (1 November 2012). "Quantum exchange interaction of spherically symmetric plasmoids". Journal of Atmospheric and Solar-Terrestrial Physics. 89 (2012): 62–66. arXiv:1112.0239. Bibcode:2012JASTP..89...62D. doi:10.1016/j.jastp.2012.08.005. ^ a b Tar, Domokos (5 October 2009). "Observation of Lightning Ball (Ball Lightning): A new phenomenological description of the phenomenon". Proceedings of the -th International Symposium on Ball Lightning, Aug. Eindhoven. 9 (2006). arXiv:0910.0783. Bibcode:2009arXiv0910.0783T. ^ Coleman, PF (1993). "An explanation for ball lightning?". Weather. 48 (1): 30. Bibcode:1993Wthr...48...27.. doi:10.1002/j.1477-8696.1993.tb07221.x. ^ Meshcheryakov, Oleg (2007). "Ball Lightning–Aerosol Electrochemical Power Source or A Cloud of Batteries" (PDF). Nanoscale Res. Lett. 2 (3): 319–330. Bibcode:2007NRL.....2..319M. doi:10.1007/s11671-007-9068-2. Retrieved 27 June 2007. ^ Meshcheryakov, Oleg (1 August 2010). "How and why electrostatic charge of combustible nanoparticles can radically change the mechanism and rate of their oxidation in humid atmosphere". arXiv:1008.0162 [physics.plasm-ph]. ^ Mario Rabinowitz (11 December 2002). "Little Black Holes: Dark Matter and Ball Lightning". Astrophys. Space Sci. 262 (4): 391–410. arXiv:astro-ph/0212251. Bibcode:1998Ap&SS.262..391R. doi:10.1023/A:1001865715833. ^ a b Peer, J.; Kendl, A. (2010). "Transcranial stimulability of phosphenes by long lightning electromagnetic pulses". Physics Letters A. 374 (29): 2932–2935. arXiv:1005.1153. Bibcode:2010PhLA..374.2932P. doi:10.1016/j.physleta.2010.05.023. Erratum: Peer, J.; Cooray, V.; Cooray, G.; Kendl, A. (2010). "Erratum and addendum to "Transcranial stimulability of phosphenes by long lightning electromagnetic pulses" [Phys. Lett. A 374 (2010) 2932]". Physics Letters A. 347 (47): 4797–4799. Bibcode:2010PhLA..374.4797P. doi:10.1016/j.physleta.2010.09.071. ^ Ball lightning is all in the mind, say Austrian physicists, The Register, 19 May 2010. ^ Emerging Technology (11 May 2010). "Magnetically Induced Hallucinations Explain Ball Lightning, Say Physicists – Technology Review". Technologyreview.com. Retrieved 21 January 2014. ^ Seward, C., Chen, C., Ware, K. "Ball Lightning Explained as a Stable Plasma Toroid." PPPS- 2001 Pulsed Power Plasma Science Conference. June 2001. ^ Chen, C., Pakter, R., Seward, D. C. "Equilibrium and Stability Properties of Self-Organized Electron Spiral Toroids." Physics of Plasmas. Vol. 8, No. 10, pp. 4441–4449. October 2001. ^ Seward, Clint. "Ball Lightning Explanation Leading to Clean Energy." Amazon.com. 2011. ^ Manykin, E. A.; Ojovan, M. I.; Poluektov, P. P. (2006). Samartsev, Vitaly V (ed.). "Rydberg matter: Properties and decay". Proceedings of the SPIE. SPIE Proceedings. 6181: 618105–618105–9. Bibcode:2006SPIE.6181E..05M. doi:10.1117/12.675004. ^ Norman, G. É. (2001). "Rydberg matter as a metastable state of strongly nonideal plasma". Journal of Experimental and Theoretical Physics Letters. 73 (1): 10–12. Bibcode:2001JETPL..73...10N. doi:10.1134/1.1355396. ^ Manykin, E. A.; Zelener, B. B.; Zelener, B. V. (2011). "Thermodynamic and kinetic properties of nonideal Rydberg matter". JETP Letters. 92 (9): 630. Bibcode:2011JETPL..92..630M. doi:10.1134/S0021364010210125. ^ Holmlid, L. (2007). "Direct observation of circular Rydberg electrons in a Rydberg matter surface layer by electronic circular dichroism". Journal of Physics: Condensed Matter. 19 (27): 276206. Bibcode:2007JPCM...19A6206H. doi:10.1088/0953-8984/19/27/276206. ^ Endean, V. G. (1976). "Ball lightning as electromagnetic energy". Nature. 263 (5580): 753–755. Bibcode:1976Natur.263..753E. doi:10.1038/263753a0. ^ Singer, Stanley (1971). The Nature of Ball Lightning. New York: Plenum Press. ^ Smirnov 1987, Physics Reports, (Review Section of Physical Letters), 152, No. 4, pp. 177–226. ^ Torchigin, V.P. (2009). "Ball Lightning as an Optical Incoherent Space Spherical Soliton in Handbook of Solitons: Research, Technology and Applications editors S.P. Lang and S.H. Bedore". New York: Novapublishers: 3–54. ^ Wu, H.-C. (2016). "Relativistic-microwave theory of ball lightning". Scientific Reports. Retrieved 22 June 2016. ^ Meessen, A. (2012). "Ball Lightning: Bubbles of Electronic Plasma Oscillations" (PDF). 4. Journal of Unconventional Electromagnetics and Plasmas: 163–179. Barry, James Dale (1980). Ball Lightning and Bead Lightning. New York: Plenum Press. ISBN 978-0-306-40272-2. Cade, Cecil Maxwell; Delphine Davis (1969). The Taming of the Thunderbolts. New York: Abelard-Schuman Limited. ISBN 978-0-200-71531-7. Coleman, Peter F. (2004). Great Balls of Fire—A Unified Theory of Ball Lightning, UFOs, Tunguska and other Anomalous Lights. Christchurch, NZ: Fireshine Press. ISBN 978-1-4116-1276-1. Coleman, P.F. 2006, J.Sci.Expl., Vol. 20, No.2, 215–238. Golde, R. H. (1977). Lightning. Bristol: John Wright and Sons Limited. ISBN 978-0-12-287802-2. Golde, R. H. (1977). Lightning Volume 1 Physics of Lightning. Academic Press. Stenhoff, Mark (1999). 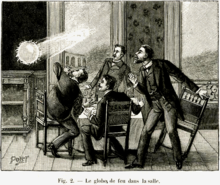 Ball Lightning – An Unsolved Problem in Atmospheric Physics. Kluwer Academic/Plenum Publishers. ISBN 978-0-306-46150-7. Uman, Martin A. (1984). Lightning. Dover Publications. ISBN 978-0-486-25237-7. Viemeister, Peter E. (1972). The Lightning Book. Cambridge: MIT Press. ISBN 978-0-262-22017-0.